April 30th in Wordpress Plugins by Wordpress Jedi . Readability is quite an exciting service for those of you who read all day long. It turns any web page into a clean view optimized for reading on the go. Once you sign up for this service, you can save articles for reading at a later time on your tablet, mobile phone, and Amazon Kindle. Not every visitor of yours may be a Readability user. But it never hurts to make your WordPress site Readability friendly. 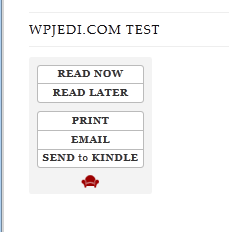 With the Readability Buttons for WordPress, you can accomplish just that. Readability Buttons is a pretty useful plugin for Readability.com publishers. It lets you add the site’s widget to your sidebar. 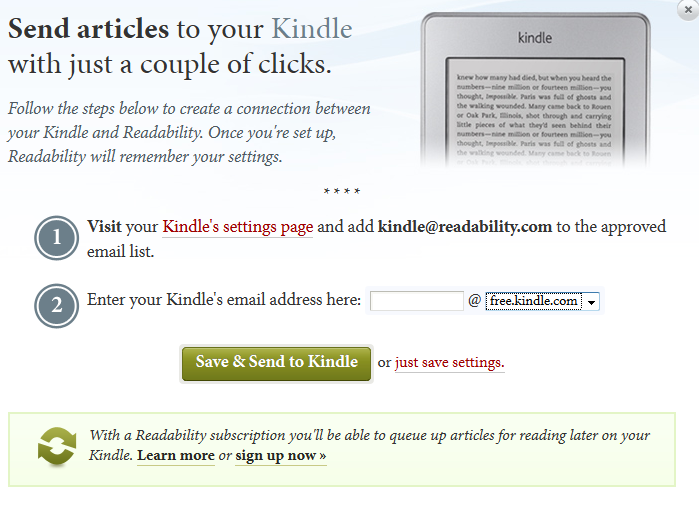 You have the option to add Read Now/Later, Print, Email, and Send to Kindle buttons to your sidebar. If you check the vertical option, the buttons will show up vertically on your site. I personally like the Send to Kindle option the best. Considering that millions of people own the device, it never hurts to make reading your pages easier for your visitors who do most of their readings on their e-reader. They will need to provide the tool with their Kindle.com e-mail to get started. 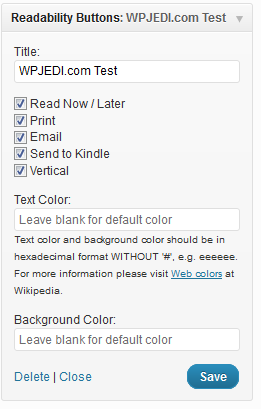 The Readability Buttons plugin is very easy to use. Just install it, and you are on your way. It gives you yet another way to make your website more user friendly.